In 2018, Panama said “Adios” to the Trump family and took his name off everything related to the project described below. The former hotel is now JW Marriott Panama City and the residential portion was all rebranded. We are leaving this article up though because apart from the Trump name now being so tarnished, the back story and the appeal of Punta Pacifica are the same. In Panama City, the real estate gold rush of the last 10 years centered on the Trump Ocean Club, the iconic tower that brought international prestige to the Panama property market. 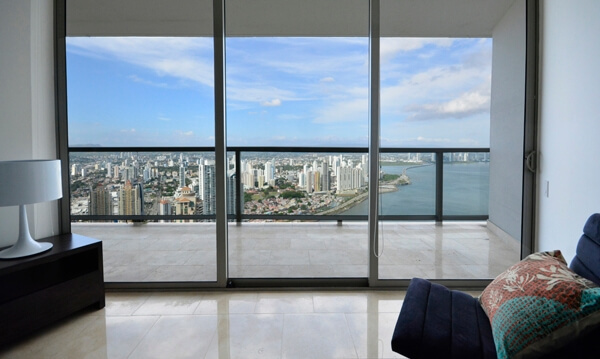 The project was the first Trump-branded development in Central America, exposing Panama City to a new generation of investors and second home buyers. When the Trump Hotel Collection announced in 2006 that it was opening a property in Panama, an astounding effect took place. 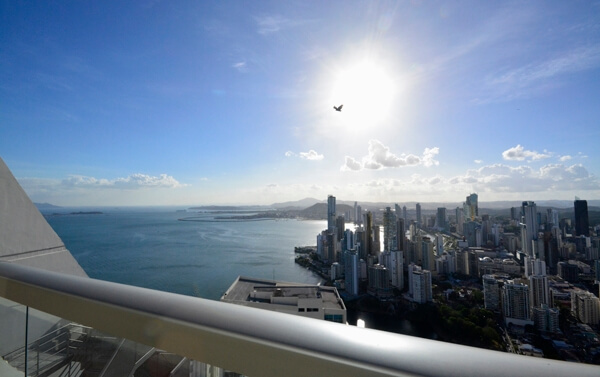 Investors from around the world started researching Panama City, and the real estate market took off like a firework. Investors began arriving in droves based on the premise that Donald Trump smelled opportunity. However, there were many doubters. Would a Trump resort sell in Panama? And Would people pay prices that were double what other new condo projects were asking? There was also skepticism that the required $220 million construction money could be raised to fund what would become the largest building in Latin America; and that the actual construction of such a difficult sail-shaped architectural design could be achieved in Panama. The naysayers nearly won. (And in the end, Trump himself got banished from the development.) Yet the Trump Ocean Club proved resilient, and not only achieved the 60 percent sell-out required to go to market for construction financing, but did so at double and sometimes triple the prices of adjacent buildings. The project broke ground in 2007 in the small residential peninsula known as Punta Pacifica, which at the time appeared more like a war zone populated with cranes than the beginnings of an upscale enclave with more than 18 residential towers in development. The average price for a luxury apartment in the Trump development rose from the pre-construction $3,500 per square meter to $5,500 per square meter two years later at the peak of the boom in 2009. The adjacent buildings took advantage of their proximity, and changed their sales strategies as well; promoting the increased value of “rubbing elbows” with The Donald’s latest project. The rush was on and Panama would soon become one of the fastest growing countries economically; attracting such international hotel brands as Hard Rock, The Waldorf Astoria and Ritz-Carlton. The optimistic desired to get rich quick, and capitalized on the upward pricing trend that resulted in inflated real estate prices. Investors believed great profits could be made by placing deposits on condos, sometimes two or three at a time, and then flipping them before having to complete the purchase, or be asked to close. However, real estate bubbles end, and they end ugly. Panama was no different than Miami, Las Vegas, Dubai and the other boom cities of international property. What happened? Eventually the flippers ran out of other flippers to unload their properties, and as the conditions of the market changed, investors were forced to close or sell at significant losses. The value of everyone’s property began to tumble even faster than it skyrocketed. Like elsewhere before the fall of Bear Stearns and the Great Recession, the drive for greed was no different in Panama. The bubble did indeed burst in the Panama market; including the Trump Ocean Club — even though it more than doubled the sales of any other building — when buyers were notified to close early on their properties in 2011. “Honey we just got a notice to close on that Trump property in Panama. What is this about? I thought we were going to flip it years ago? Now what do we do?” A building with more than 900 pre-construction sales agreements completed its closing process a year later in 2012 with less than 500 closed sales and a resulting default on the $220 million construction bond issuance. In May of 2013, an agreement was reached to restructure the construction loan, providing the developer, Newland International Properties, with an extension of three years to repay the debt in 2017. As a result, there has been a resurgence of investors feeling more secure about future pricing trends; they are contacting us daily in hopes of finding the last distressed deals. 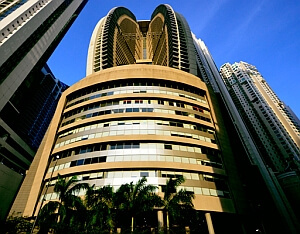 Throughout all of the controversy surrounding this high-profile property, Trump Ocean Club is still the most sought-after building to live in Panama City; demanding and receiving rental rates more than 50 percent higher than its direct neighbors and achieving the highest price per square meter sales prices in Panama. With the Sun International Group having just opened it’s $100 million casino there — and less than 10 percent of the condos still available to sell — what will be the next chapter of the tale for existing and potential investors? 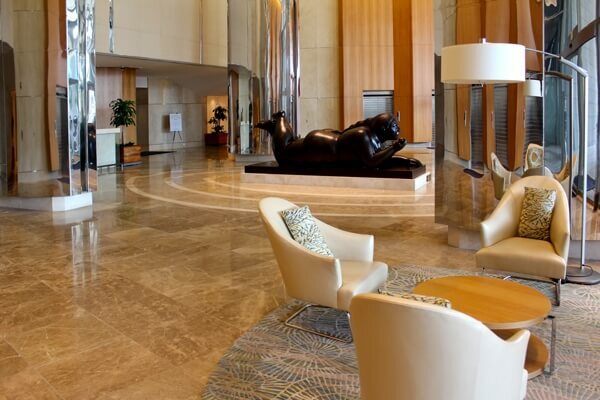 Article by Jeff Barton, Managing Director of Punta Pacifica Realty, the leading sales and property management company in the exclusive waterfront skyscraper neighborhood of Punta Pacifica. Photos courtesy of the agency.